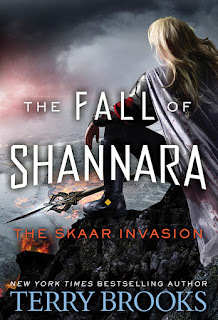 Why We Want It: The Sword of Shannara was one of the earliest fantasy novels I read and, at this point, I've been reading Shannara for more than twenty five years. Once I thought Shannara was near the pinnacle of epic fantasy. I don't feel quite the same way any more, but Terry Brooks is on his final push to end the series after more than 30 novels. Recent volumes have seen Shannara at a lower point in terms of quality, but last year's The Black Elfstone was - if not a return to a form Brooks hasn't reached since the Heritage series he published in the early 90's - a strong step back in the right direction and a highly entertaining and engaging volume. In this sequel to the novella Penric’s Mission, the injured Penric, a Temple sorcerer and learned divine, tries to guide the betrayed General Arisaydia and his widowed sister Nikys across the last hundred miles of hostile Cedonia to safety in the Duchy of Orbas. In the town of Sosie the fugitive party encounters unexpected delays, and even more unexpected opportunities and hazards, as the courtesan Mira of Adria, one of the ten dead women whose imprints make up the personality of the chaos demon Desdemona, comes to the fore with her own special expertise. 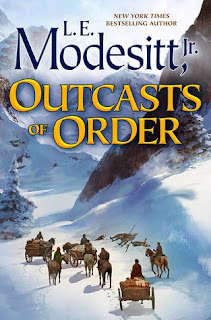 Why We Want It: Reading Bujold is a constant delight and each one of the Penric novellas have met the high bar Bujold sets for all of her work. 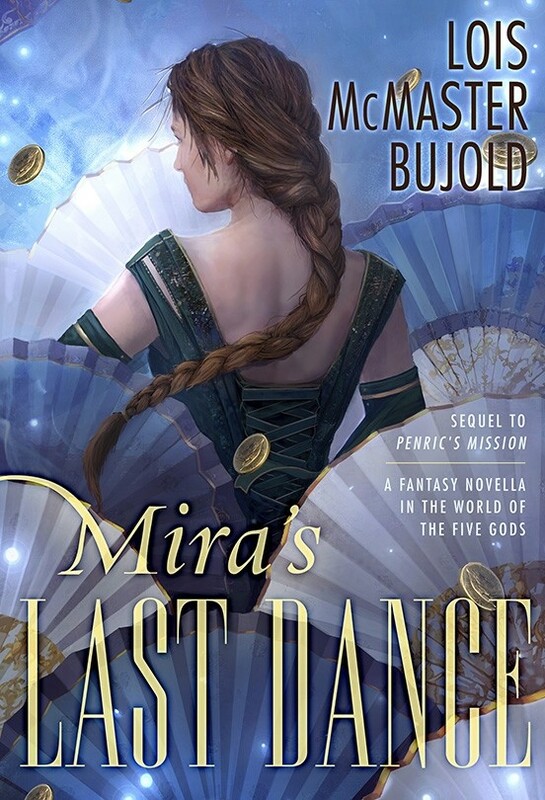 Mira's Last Dance moves the timeline and the storyline further and it's probably the one I've been most excited to read thus far. 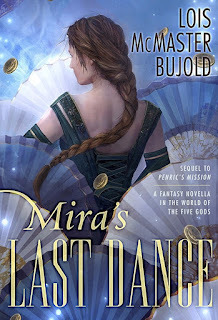 As a side point, I'm reading The Curse of Chalion, which is the first novel Bujold wrote in her World of the Five Gods, which is the larger setting of the Penric novellas (and which is also a finalist for the Hugo Award for Best Series) - and that novel is exceptional and whets my appetite even more for Mira's Last Dance. Errol Greyson hadn’t intended to commit suicide. Or so he told himself. But waking up after his “cry for help” in the body of a wood-and-metal construct magically animated by Aster—the strange girl from school—was not a result he could have imagined. 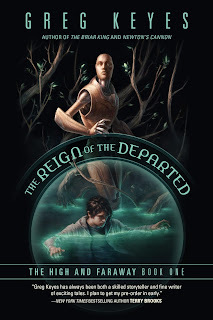 Aster’s wild explanations of a quest to find the water of health that would cure her father seemed as unreal as her description of Errol’s own half-dead existence, his consciousness stuck in an enchanted automaton while his real body was in a coma from which it might never wake. And of course, they would need to recruit a girl—a virgin, no less—who had been dead for thirty years, to lead them through something called the Pale, beyond which a bunch of magical kingdoms existed. Plus, the threat that Aster could turn him off like a light switch, sending him into a hellish oblivion, was a convincing incentive to cooperate. It all seemed quite mad: either Aster was nuts or Errol was hallucinating. But if it meant a new chance at life, he reckoned it was worth playing along. 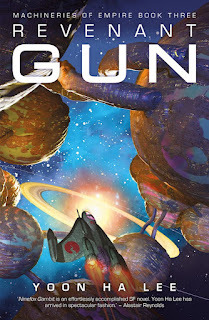 Why We Want It: Greg Keyes wrote The Age of Unreason (historical fantasy featuring Ben Franklin) and Kingdoms of Thorn and Bone (epic fantasy) quartets and I loved them both, wished more people were talking about them, and was excited to see what he would do next. Keyes spent a number of years writing movie and video game tie-in fiction, which is fine - but I've been such a fan of his original world fiction that I'm excited to see what he's got for us with The Reign of the Departed. 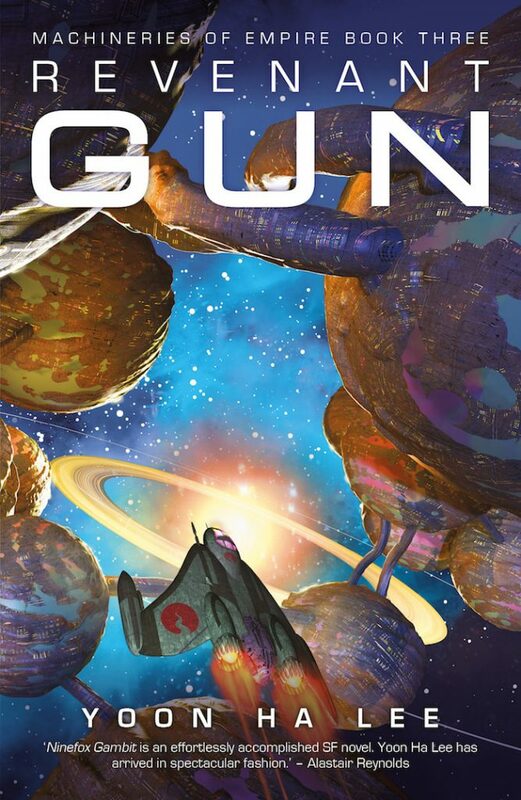 Why We Want It: Straight up, I've loved both Ninefox Gambit and Raven Stratagem - so there was never a doubt I'd read Revenant Gun. Each book has been a surprise and a revelation, and I never would have anticipated a Shuos Jedao versus Shuos Jedao but now that I know it exists, I'm ready. There’s only one way he can remain free and survive—he’s going to have to run. Why We Want It: Recluce has been one of my most long running and consistent comfort reads. The Mongrel Mage was a solid outing and I'm looking forward to spending more time with Beltur. Why We Want It: Roanhorse burst on to the scene with her short story "Welcome to Your Authentic Indian Experience", which is a finalist for all the awards. 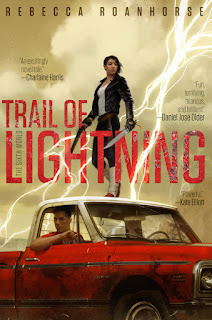 But, Trail of Lightning really caught my attention. Apocalyptic Native American Fantasy. Roanhorse's elevator pitch was "Indigenous Mad Max: Fury Road". Of course I'm going to read this!